Is it a map? Does it serve religious purposes? Was it the aliens? Who made it and why? These were the common questions asked after the discovery of the Nazca Lines in the Peruvian desert. These lines are called geoglyphs. Geoglyphs are vast drawings on the ground , minimum 4 meters huge. 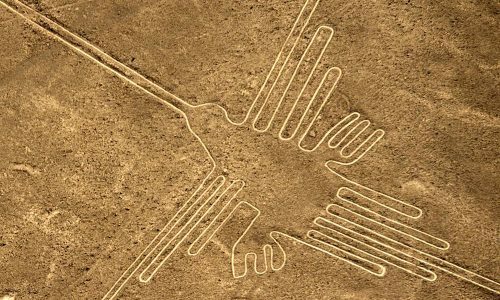 There are geoglyphs in Egypt, Malta, Chile, Bolivia but the Nazca Lines are famous for their crazily immaculate dimensions, characteristics and the mystery surrounding its origin. They became widely known in the late 1920s, when commercial air travel was introduced between Lima and Peru. The mysterious desert drawings known as the Nazca lines have puzzled archaeologists, anthropologists, and anyone who stumbles across it. 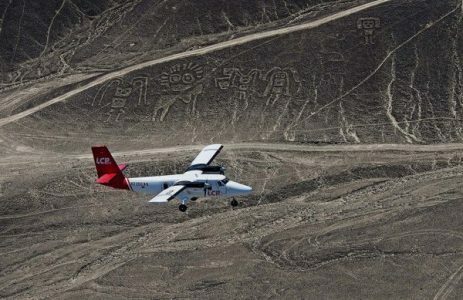 The Nazca Lines are located in the Nazca Desert, a high arid plateau that stretches between the towns of Nazca and Palpa on the pampa (a large flat area of southern Peru). The Nazca people emerged out of a culture called Paracas. They settled down along the river valleys and started cultivating crops. 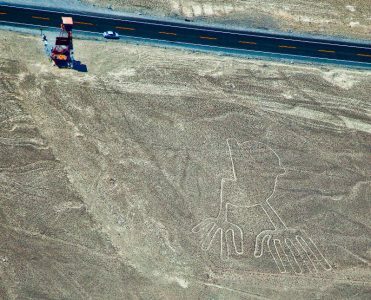 A Peruvian-German archeological initiative has found traces of Nazca villages spread out like pearls on the land and near every village a geoglyph is to be found. 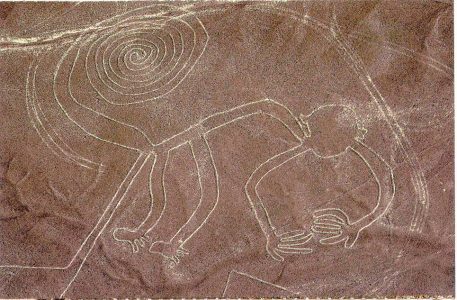 – In 1896, traces of ritual activities were found on the watersheds of Nazca and this led people to believe that the Nazca lines were created to worship the mountain deity. – The real breakthrough came in 2000 when archaeologists measured the magnetic field in in the village of Yanama, near Palpa. The found magnetic signals indicative of human activity on the ground. – The archaeologists found man-made mounds on each corner of this trapezium shaped plateau. On excavating these mounds, the archaeologists came across shellfish shells, vegetable remains and other relics which were common offerings to the Gods. Hence the mystery doesn’t remain a mystery after all. It was just a unique and gigantic way of worshiping the Almighty. A way so intriguing and astonishing that it took centuries to figure out what they stand for. COOL TIP : When you are traveling to Nazca take a bus or hire a van from Lima. Make it a multi day trip as people also explore giant sand dunes and “sand board” on the dunes.